Pink, pink, pink. I have just come off of a pink high for my 5 year-old’s princess birthday party and now it’s nearly Valentine’s Day which means more pink. My mother reminded me that I wasn’t a fan of pink or hearts as a little girl but now that I have two girls of my own who love both I’m totally on board. 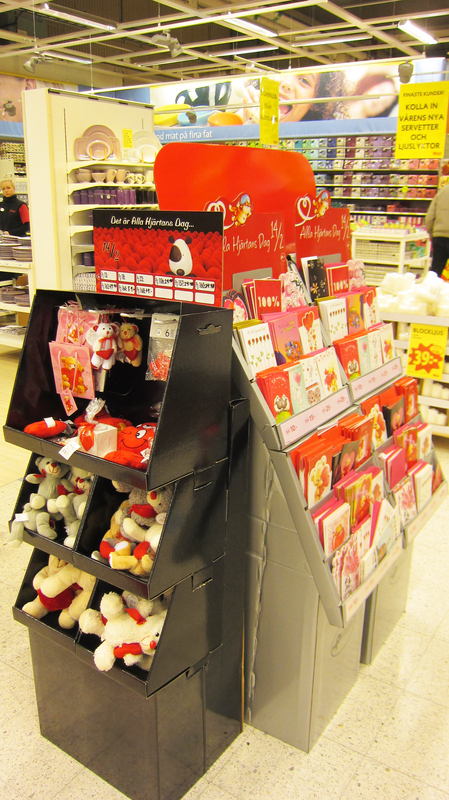 Valentine’s Day isn’t big in Sweden. 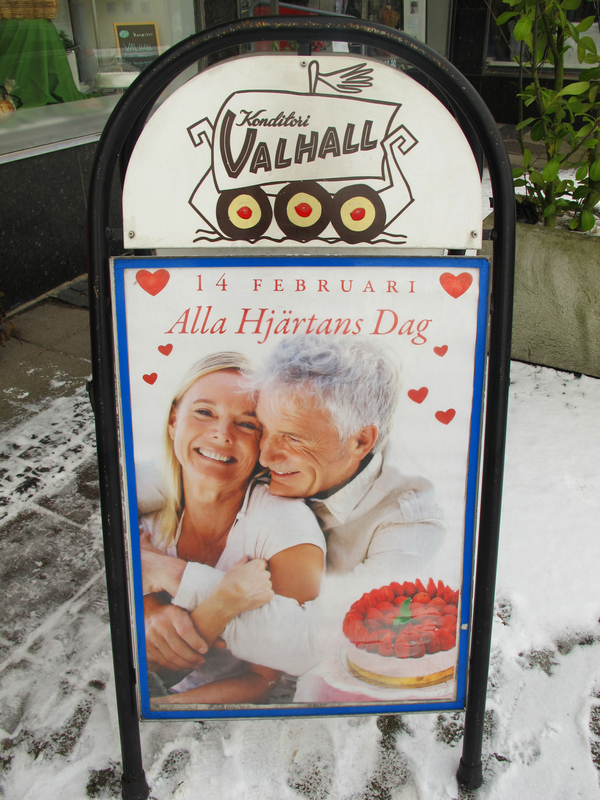 It wasn’t introduced until the 1950s when some merchants tried to promote the holiday as Alla Hjärtans Dag (ALL-uh YEHR-tuhns dahg) or All Hearts Day. It proved to be a tough sell and it wasn’t until the 1980s that it started to grow in the floral sector (no pun intended) with plantings in heart-shaped pots that typically women would give to their friends. During the 1990s Alla Hjärtans Dag gained popularity in schools where it became common to show your affection for your classmates by giving a carnation to your friends and a rose to your love interests. Color was important with yellow signifying friendship, pink symbolising romantic interest and red being love. 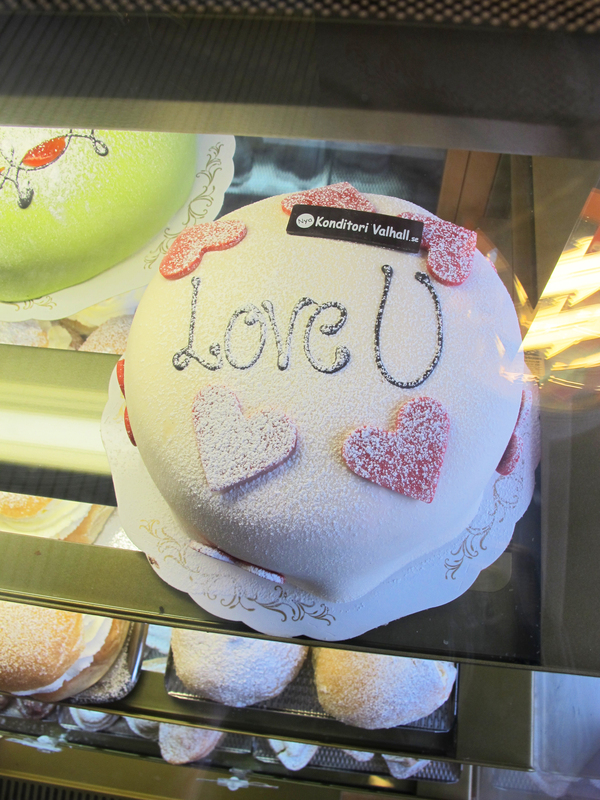 Today you see a few signs at bakeries and minimal window displays here and there but it doesn’t come near to the hype it receives in the U.S. There are meager, if not any, signs in florist shops and only small displays in even the largest supermarkets. 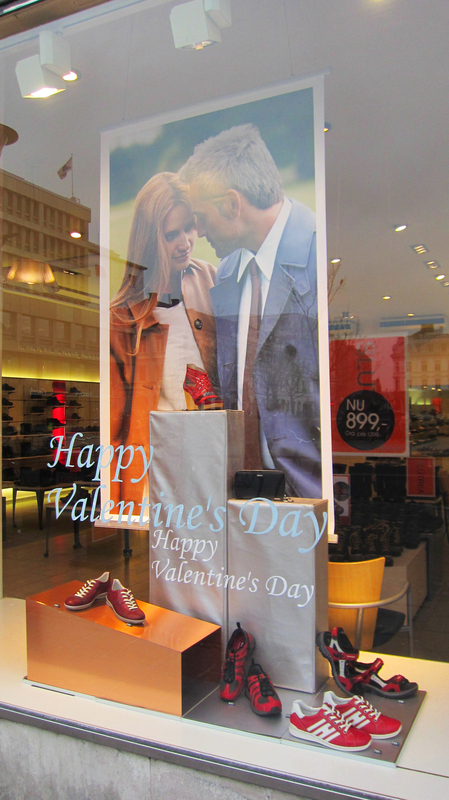 I was surprised to see a subtle Valentine’s Day display of red shoes at the Ecco store and I thought the bakery sign with a senior couple was interesting since in the U.S. Valentine’s Day ads typically depict young couples. I remember the first Valentine’s Day my Swedish husband (then boyfriend) was in the U.S. he was surprised to get a gift from me. He had bought something for me but thought it was only men that buy Valentine’s Day presents for women. Hmmmm. It’s nice that he is still drinking his coffee out of that Romeo and Juliet themed Starbuck’s mug I gave him 14 years ago. I like this little holiday that celebrates love. It’s fun to get creative about what to do for your friends and loved ones on Valentine’s Day. It doesn’t have to be about buying expensive flowers, chocolates, or gifts, exchanging cards or going out for dinner. 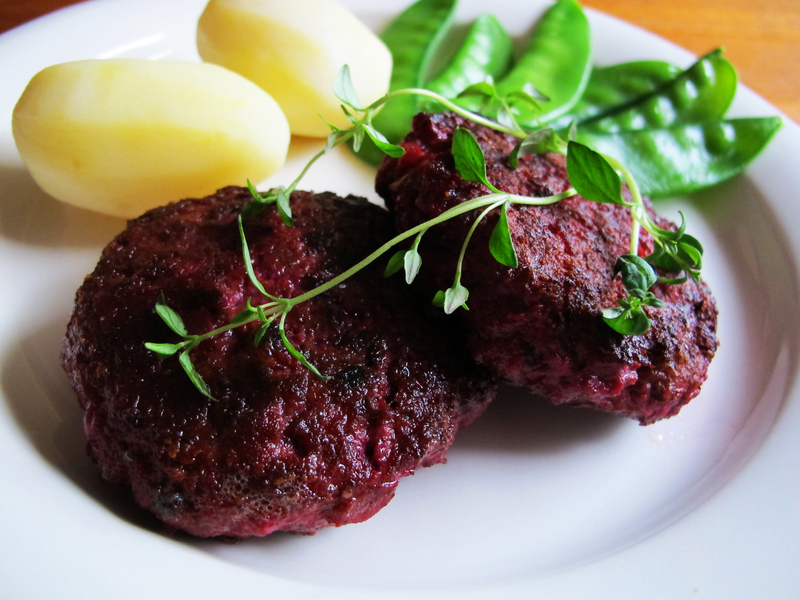 It’s the little things that count and even though Valentine’s Day isn’t big in Sweden, I have some suggestions of Swedish foods to incorporate into your celebration. 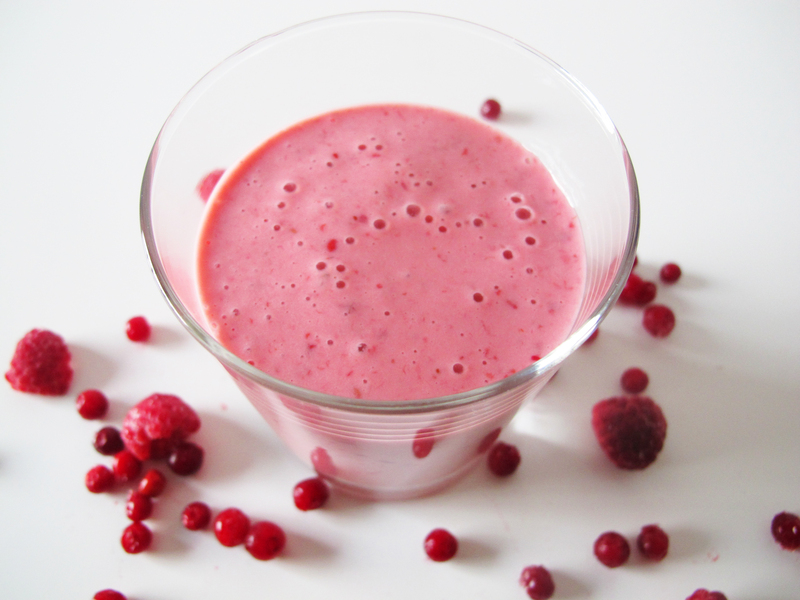 For starters, make an uber-pink raspberry-lingonberry smoothie for breakfast. 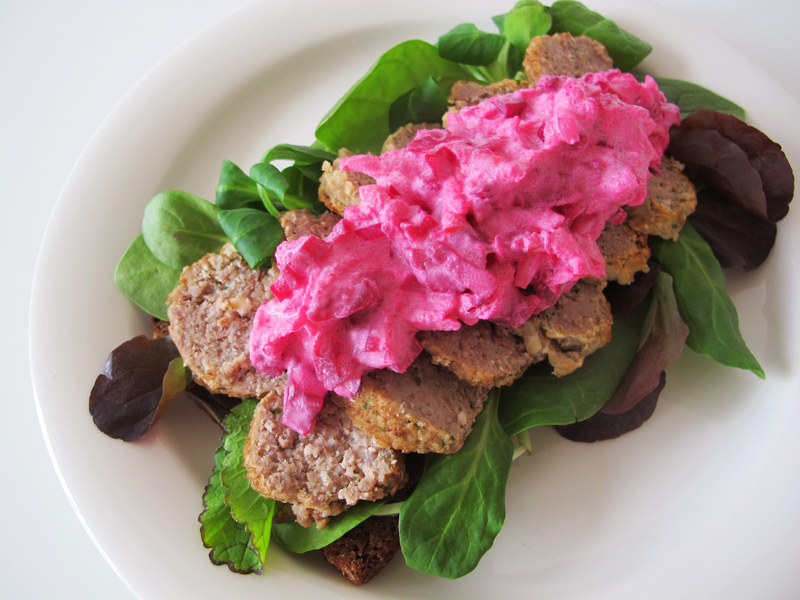 Continue the festive theme with the pink-topped meatball sandwich with pickled beet and apple salad for lunch and round out the day with the rosy-tinged Biff à la Lindström for dinner. 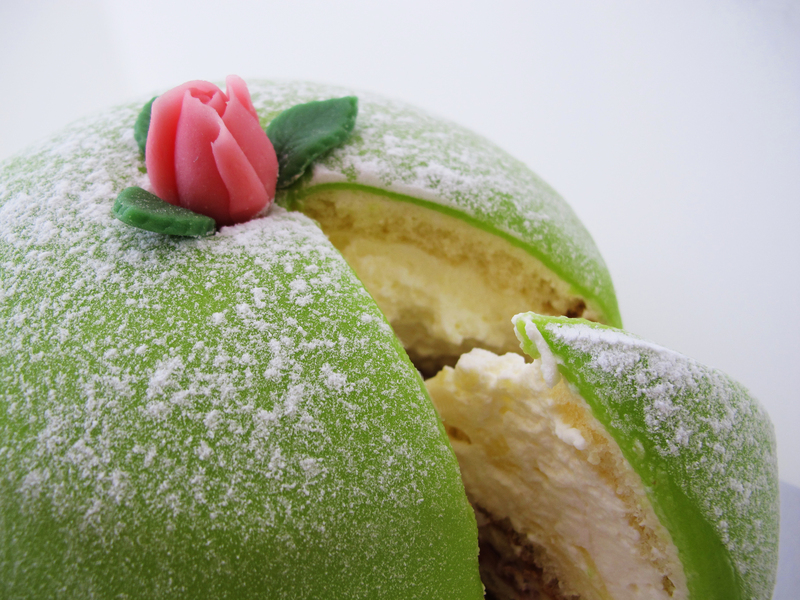 If you are feeling really ambitious you could make a princess cake for dessert covered with pink marzipan or in a pinch buy some of the little princess cakes at IKEA if you happen to have one nearby. 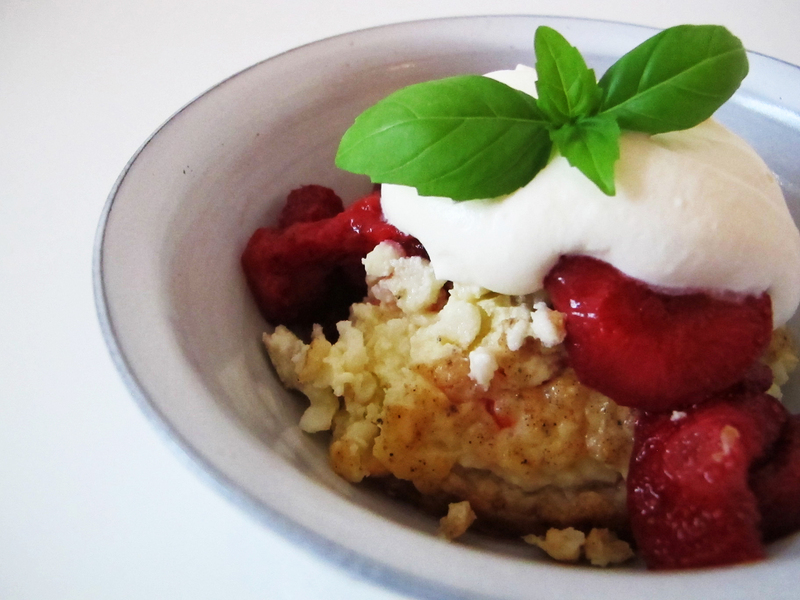 Alternately, whip up an easy Swedish cheesecake (ostkaka) and top it with strawberries. Whether you are into Valentine’s Day or not give this refreshing smoothie a whirl some time. Like most smoothies, it’s a breeze to make if you have a blender. Embrace the pink and treat yourself and/or the loved ones in your life on Valentine’s Day, a wednesday, or whenever the pink mood strikes you. You can use fresh berries but I prefer frozen since they help to make the final product nice and cold. This smoothie doesn’t separate when it sits so if you want to make it a bit in advance and set it in the refrigerator that is an option but the longer it sits the less vibrant the color will be. 1. Break up the banana into chunks and place it in a blender. Add the remaining ingredients and process until completely smooth. Serve. Ok, now I’m wishing for a big bag of ligonberries. I’ll have to see if they have them at the store. The pink smoothy is really eye catching for me and its been a heck of a weekend. A nice pink fruity smoothy might be just the touch for our valentines day tomorrow.